If you’re searching for residential garage door installation around the Corpus Christi, Texas area, look no further than Corpus Christi Garage Door Repair. Our team focuses on safety, precision, and care when installing a new garage door in a customer’s home. Because you rely on your garage door to open so many times per week and even per day, garage door installation must be done absolutely perfectly so that you won’t encounter recurring issues. We need want you to worry yourself with the concern of whether or not your garage door is going to open or close, or even be noisy and squeaky. We install all makes and models with precise skill. Our experience and attention to detail will ensures your door will be in perfect working condition. With proper maintenance your door will run properly for many years to come. After many years of working with homeowners, we understand that your garage door is the centerpiece of your home. It’s also one of the first features you and your guests will notice when they arrive. If your garage door is old or dated, or if you’re building a new home and want stylish and affordable options, turn to our residential garage door installation experts. We pride ourselves in bringing your vision to life. Our specialists can show you many different options so you know what’s available and what will work best for your home. We can also take images of the garage doors you’re interested in and overlay them on an image of your home with its existing door. That way, you can see exactly what your selections will look like and make a more confident final decision. We strive to make this process seamless for you. With extensive product offerings from many different brands, we like to provide our clients with a customized selection process. You’ll have the ability to choose between aluminum, glass, steel, stained wood with the durability, and low maintenance and energy efficient insulated steel. 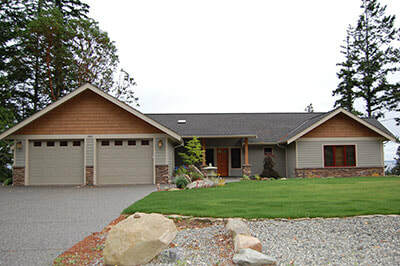 If your garage door is falling apart, sagging, cracking, and bringing down the appearance of your home, then it may be time to upgrade your garage door with one that not only enhances the curb appeal of your home, but is easy to operate and maintain. Following installation, you will immediately notice the enhancement to the curb appeal of your home—as well as a significant increase in its market value. In fact, simply by changing out your old garage door into a more stylish and modern one, you can transform the look and feel of your entire property. Best of all, compared with many other different types of home renovations, a new garage door installation is relatively inexpensive. A new garage door is an exciting thing to get and we want you to have the perfect style, the perfect brand, the perfect fit and the perfect price. Whether you are building a new home or need a whole new garage door on your current home, we’ll find the right door for you. We have sold and professionally installed many overhead garage doors in the Corpus Christi area. Our team is confident we can provide you with a great experience. 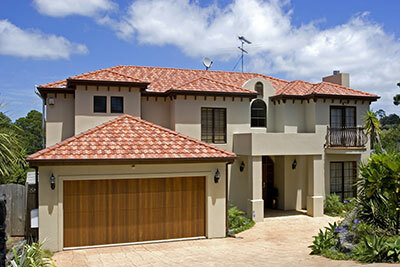 Residential garage door installation should always be performed by trained professionals. Your overhead door is the largest moving object in your home, and the average garage door can weigh over 400 pounds. If your installation isn’t done with extreme precision, then over time your door may fail to work and open or close properly. There’s also the potential that it could fall and damage valuable property, like your car, or even worse it could severely hurt someone. At Corpus Christi Garage Door Repair, our technicians and installers are knowledgeable and thoroughly trained. 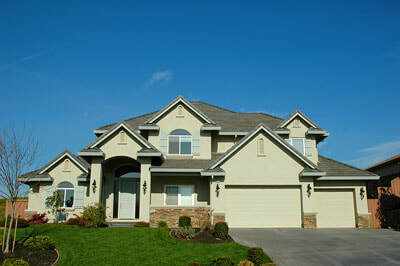 We’re happy to install, repair and maintain all your garage doors and garage door opener needs. It's important to ensure that you install a high-quality door and that the door is installed in keeping with the manufacturer's specifications. Even if your garage door is in good shape now, there will come a time when it needs to be replaced. If your door has suffered considerable damage after a hurricane or after years of wear and tear, it may be time to get a new one—particularly if you're planning on selling your property. Additionally, if you've been making changes to the exterior of your property, you might decide that it's time to replace your garage door, too. There are many garage door styles out there, and you're bound to find one that complements your property. Finally, it's smarter to buy a new garage door than pay a steep repair bill. If your garage door is old and costs several hundred dollars to repair, consider a replacement.